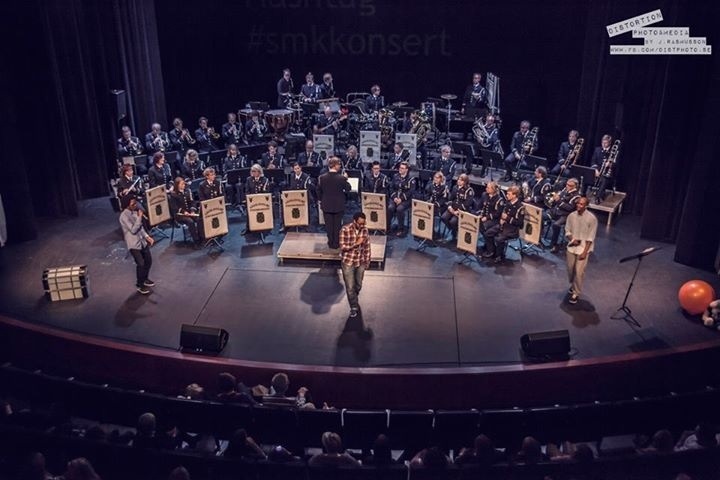 A while back ago STICS were approached by Hässleholms stadsmusikkår which is an orchestra from the city of Hässleholm that every year come together to play a concert for the people of that city. This time around they wanted to take their concert to the next level and together with STICS choreographed a spectacular set consisting of classic swedish pieces as well as a live orchestral version of “Darkness”. The audience in the packet venue were all pleasantly surprised and delighted to have shared a STICS experience and the night was a sucess to say the least. Something fantastic happens when people are brought together and they create live musical magic.